A new Room has been released! You can go there by building a Tinkanoe in the Mechanicals Workshop. 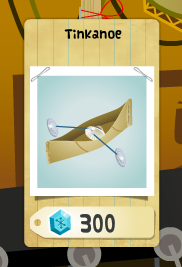 Once you've built it, go back to Stinkatolli at the top left corner and click the boat sign. You will be taken to a brand new room with some cool snake skins that are going to be used for something cool, says @Tinkatolli in one of their tweets. That's awesome! I can't wait to see what are the snake skins for! Kelp Now Available in Deep End! 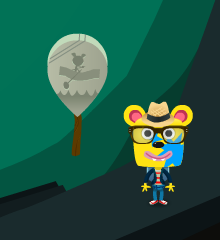 New Tinkatolli Room - The Deep End! Dirty Dozen Members only rewards! The Amazing Month - Sign up today!